As a parent you want the very best for your newborn and for many people that means a natural wood crib. Wooden cribs have a warmth and beauty that simply cannot be matched by plastic and other types of newer crib materials. In addition, for those families who want to pass down their crib, or use them for more than one child, natural wood cribs have an ageless style that is comparable to none. However, like any other product on the market, not all natural wooden baby cribs are designed or created equal. There are many substandard wooden cribs on the market, as well as many cribs of exceptional quality. From a parents point of view, while they want a crib that is beautiful to hold their infant, their most important concern is finding a crib that is safe and sturdy. As perspective or new parents, you worry about so much you don’t want your baby’s crib to be one more thing to worry about. Which is why, many parents spend countless hours looking at many different cribs before reaching a decision on which one to buy for their nursery. To help you with your search, we have compiled some reviews of natural wood baby cribs that have earned high ratings on Amazon.com and across the internet. Please note that mattresses for these cribs are sold separately. The Stork Craft Tuscany 4-in-1 Convertible Crib is manufactured by the Stork Craft furniture company. The stork who began this company is actually a man named Morris Feldstein, who after years of handcrafting baby furniture in his business, decided to open a factory in 1945 to manufacture quality baby furniture for the general public. While you may not recognize the Stork Craft name, you will recognize one of their revolutionary contributions to the functionality of baby cribs, as this company was the company that invented the drop side crib. The Stork Craft Tuscany 4-in-1 stages crib is designed to fit almost any budget, without sacrificing quality or style. It has many of the features that new parents are looking for in an infant bed, plus the 4-in-1 style will grow with your child. This crib converts 4 ways, it is a sturdy crib for your newborn and once your child has outgrown the crib it converts to youth bed. For older children it turns into a full size single bed or can be used as daybed in a guest or family room. The crib comes with the toddler rail. All four sides of the crib are stationary which adds stability to it. It has three adjustable crib heights to allow for more safety as your infant grows and becomes more active. Made from solid wood and wood by products. Comes in a variety of finishes. As you can see from the picture, the Stork Craft Tuscany crib is extremely attractive and adds a touch of warmth to your nursery. The fact that this crib will grow with your child can result in saving hundred’s of dollars down the road which may be a real plus for many parents, especially if this baby will be an only child or your last child. Many people will find it a definite plus that the finish on this crib is non toxic. Reviews for the Stork Craft Tuscany 4-in-1 crib are extremely positive with customer ratings running really high on a variety of reviews across the internet. The majority of people who purchased this crib really liked it and found it to be exactly what they were looking for in build, quality, and looks. 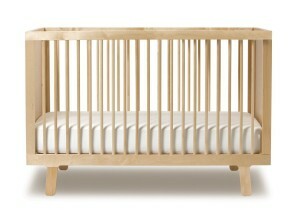 Wood looks and feels high quality and when put together most customers agree that this crib is absolutely beautiful. Customers also find that this crib is extremely sturdy and well made. Customers also liked the fact that this crib has 3 different height levels. This provides added safety for when infants beginning standing. Lowering the mattress of the crib will help prevent children from going over the rails. Most customers also like that this crib is reasonable priced. Several customers stated that this crib compares favorably with cribs costing double or triple the price. Ease of Assembly. While some customers found this crib quite easy to assemble others felt it was somewhat difficult. The difference seems to be in how much time customers expected to spend assembling the crib. Those who felt 2 hours was too much time felt that assembly was difficult, while those who expected to spend a couple of hours assembling the crib found it to be easy to assemble. Uneven Finish. Some customers felt that finish on this crib was uneven while other customers clearly stated that it was not the finish, but the grain of the wood that showed through. These customers felt that seeing the wood grain made the crib even more beautiful. Of course there were those who were not impressed with this crib, but most of the disadvantages they sited were due to individual mistakes in packaging not with the quality of the cribs themselves. Some felt that the wood used in this crib was too soft and therefore scratched and showed dents easily. The one reoccurring complaint was that many customers felt that this crib had a strong smell likely due to the stain. Since these cribs are boxed immediately after manufacturing they are likely to have a smell. 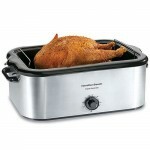 However, the smell dissipates after a thorough airing out. New parents should keep in mind, that all baby products should be aired and perhaps washed before using. Overall most of those who purchased the Stork Craft Tuscany 4-in-1 crib stated that they would recommend this crib to friends and relatives. The Dream On Me Furniture company manufactures the Dream On Me Style 4-in crib. This is a relatively new company in the manufacturing of baby furniture having only been in existence since 1988. This company makes their products in the United States and in a few short years has earned a reputation for making attractive and sturdy baby furniture. The Dream On Me Style 4-in-1 crib is a fine example of the craftsmanship of this company’s infant furniture. 3 mattress levels to ensure safety for you infant as they mature. Includes some tools for assembly. It should be noted that this 4-in-1 crib does not come with the side rails or frame for the full size bed. Unless otherwise specified, most 3 or 4-in-1 cribs do not come with these side rails or frames. The sides of the crib however, do serve as the head and foot boards for the full-sized bed when it is converted. The Dream On Me Style 4-in-1 crib is very attractive and made from beautiful hardwood as you can see by the picture. The back raised rail is perfect for hanging blankets on when they are not in use. The fact that the finish on this crib is not toxic is a definite plus, as is the 3 mattress levels. Overall the reviews for the Dream On Me Style 4-in-1 crib are excellent with this crib receiving high stars. However, some of the reviews are a bit confusing, as some of the negative comments concerning this crib are based on the fact that the hardware on this crib is visible, something that is plainly apparent in the pictures and that is stated in the description of the item itself. In addition, while most people found that this bed was easy to assemble taking between 30 and 45 minutes, a few customers felt that the instructions for assembly could have clearer. Exposed hardware. Careful reading prior to purchasing would have prevented these customers from purchasing this product if this was a real concern. Delivery condition. Some customers stated that the boxes were beat up and in a few cases this resulted in scratches on the crib itself. These has little to do with the quality of the crib and everything to do with the handling of the product during shipping. One or two customers did not like the color of the crib they ordered. There was only one customer who had a serious complaint regarding this crib, and that was the fact that their infant got her leg stuck between two of the rails. Customers need to be aware of this and use crib bumpers when purchasing this crib. Overall, this crib is well liked by most of the people who purchased it and they stated that they would recommend this crib to others as they felt it was a high quality crib, priced very affordable, and one of the best natural wood cribs they had seen. The Oeuf Sparrow Crib is a European Crib designed by the Oeuf Sparrow company. This company has become renowned throughout Europe as a company that is Environmentally friendly and of high quality, practicality, and function. Made with sustainable materials in Europe following strict environmental standards. Fixed side rails for added stability. 3 Mattresses height adjustments for increased safety as your child grows. Optional conversion kit to convert crib into toddler bed. Sold only in the USA. The Oeuf Sparrow Crib is a modern designed crib that is ideal for those who want their nursery to have an air of lightness and space about it. The natural wood finish is gorgeous. Those who are trying to live a more environmentally friendly existence will love the fact that this crib is made from sustainable wood and has a natural wood finish. This appears to be a solid wood crib that will last through a half a dozen children. Reviews for the Oeuf Sparrow Crib are exceptionally good with this crib rating highly on various review sites across the internet. While the reviews had many positive things to say regarding this crib, there were few negative comments. This crib is on the high price end of baby furniture, but almost every user states that this crib is well worth the price. While there were no negative reviews as such one customer did mention that his infant did get their foot caught between the rails and suggested that purchasers of this crib should use a baby bumper to prevent this from occurring. Overall those who purchased this crib were extremely pleased with their purchase and felt that the Sparrow crib was well worth the seemingly high price tag. They felt that this crib kept their infant safe, secure and comfortable and really like the fact that it is extremely environmentally friendly. When it comes to choosing a new baby crib, everyone has their own individual tastes and needs and we recognize that. So in an effort to help you find the perfect wood baby crib for you, we have researched and found the top 15 natural wood cribs and collated all the relevant information to help make your decision easier. Converts To Toddler Bed, Daybed & Full Size Bed. Toddler Rail included. Best Seller – Converts To Toddler Bed. Toddler Rail included. Best Seller – Converts To Daybed & Youth Bed. Has 5 Drawers For Storage. Best Seller – Converts To Toddler Bed, Daybed & Full Size Headboard. 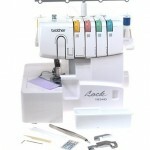 Best Seller – Folds Up For Storage & Transport. Best Seller – 1 inch Pad Included. Casters Included. Locking Pin Included. Best Seller – Converts To A Toddler Bed, Daybed & Full Size Bed. Best Seller – Converts To Full Size Bed. We hope that our in-depth reviews of 3 of the top wood baby cribs and our comparison table of 15 unique baby cribs will help you find the perfect crib for your baby. As new baby cribs come and go, we will continually update our review and comparison chart to ensure you are always seeing up to date information.